If you are a follower you've probably read some of my tweets nothing cute about copycats. ╰(*´︶`*)╯♡ Whoever knows and interacts me knows I'm a quiet person and chevere (in Spanish Venezuela nice). Every day I check many blogs, even from my phone (if I'm not the pc) I see blogs. For those who do not have a clear concept of a COPYCAT is a subject that makes imitation of another person to the point of doing the same things as the other person. This concept started with a Marvel character long ago, the truth I don´t read comics. A person who takes photographs, images, text or something else of a blog and puts it on their blog like yours is a damn copycat. Understood the concept will comment the reason for this post. It came a few days ago to a blog of a girl who follows me on twitter and had a review of a product, surprisingly had the review organized the same way I do, even used the same words and the same order. (# ﾟДﾟ) ! ! WtH? 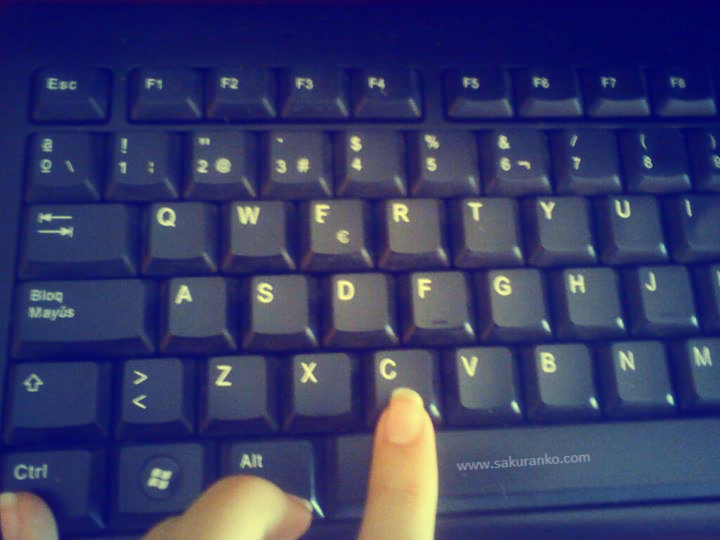 Some may think the words you can use any you like, but there are many words and ways of doing the same thing. The review had exactly the same format as I organize my post of reviews (those who read know which mode). Those have much time following me know how they grew my posts. I have always been characterized by taking lots of pictures to do this or that in a way, for me it's really entertaining read other reviews I never took pictures of others or writings of others even if my English is not so good, because not is my native language. Being a COPYCAT is breaking the LAW by Plagiarism!! (ŎдŎ；) An apology does not fix anything with Copycat, because that copy content from other blogs and places like theirs if did 1 time will do 2 times. (｡･ө･｡) I want to clarify that this post is only my personal experience story. But I heard that this person has already taken the intellectual content of other blogs directly (pictures + text). Neither gender, ethnicity or age. OK? "All content of this blog, both text and pictures, except of course the logos of stores that sponsor me and ideas belong to me and are my property. By using any content must ask for my permission"
(￣ー￣) My blog is my personal space too, is like a diary that everyone can read. To all those who start a blog that never fall into being a Copycat, and those who have a blog must protect its intellectual content. (︶｡︶) Thank you very much those who read and follow me, I love the truth think a lot about you and I really enjoy supporting their blogs. 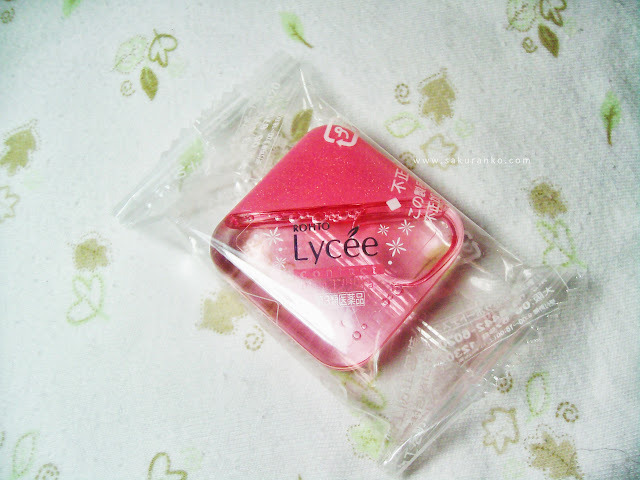 A few days ago I received from KPOPTOWN this beautiful eyeliner brand Holika Holika review purposes. ( ´ ▽ ` )ﾉ It's the first time I try a product from this brand and I'm really delighted. KPOPTOWN ❤ is one of my favs stores and the custome service is really nice and fast. Like always this review is based on my own opinion. Holika Holika Wonder Drawing Eyeliner Pen is a continuously flowing liquid eyeliner with a precision tip. Provides a controlled application to create a precise line, from soft to dramatic. Glides on smoothly with rich bold color that won’t smudge or smear all day. Long-lasting and water resistant. 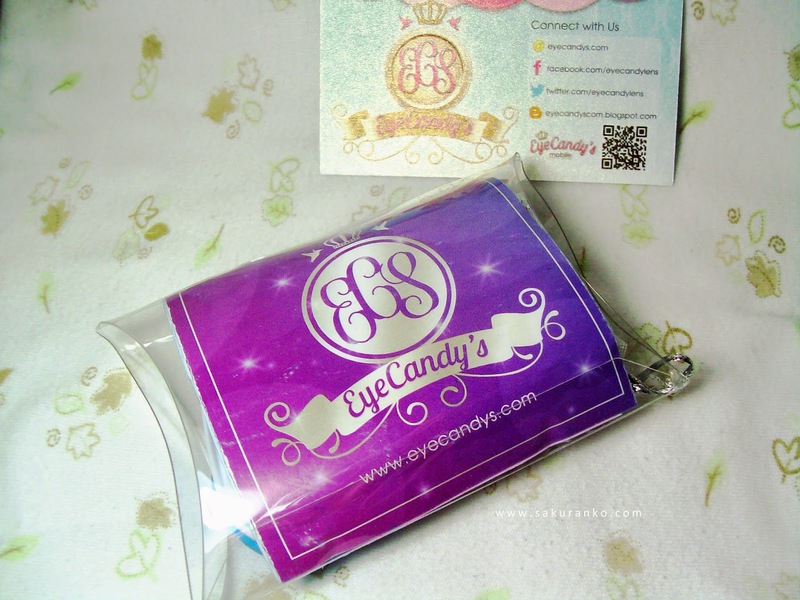 ❆ Packaging: The packaging for this eyeliner really came alone and eyeliner package has the same name written in golden cursive letters with the logo of Holika Holika. It's very nice because it is small and easy to carry. ❆ Price: The price with shipping included and tracking number is $ 11 in KPOPTOWN really is a good price for a good quality liner compared to others who come to cost a lot more expensive. ❆ Quality: The tip of this eyeliner is not a small sponge itself is a small brush that provides excellent precision also is quite small. It lasts more than 18 hours without smudging. 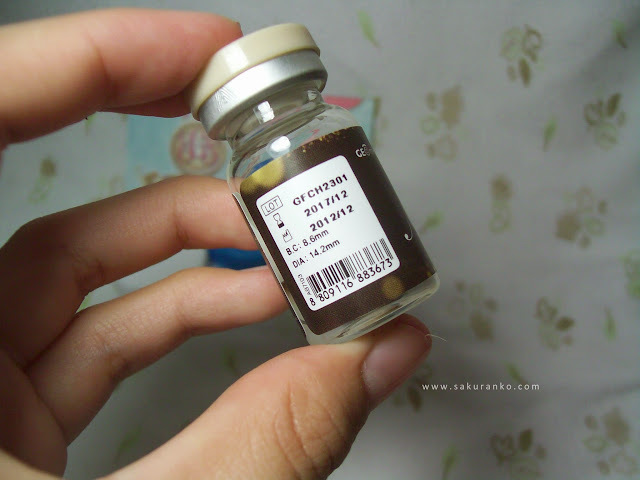 ❆ Color: This eyeliner comes in two colors brown and black. This is the color nero which incidentally is a deep black eyeliner I really like this because it offers a good long lasting pigmentation and waterproof. 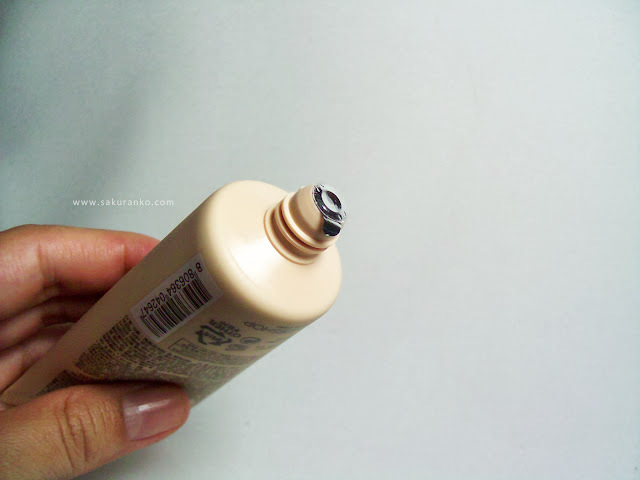 - It is long lasting (I used it for over 12 hours and remained intact). - It has a precision tip. - In many countries you can only buy it online. 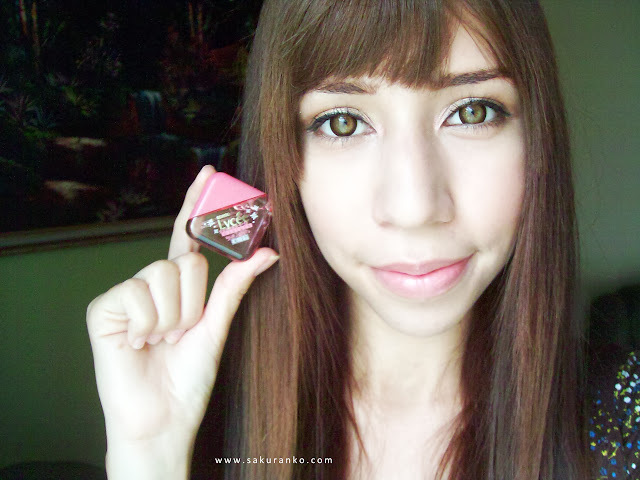 (*･ε･*)♡ I love this eyeliner. It points muchs their favor. Mainly is waterproof and the only clean it really is my Kose cleanser. It is long lasting in use throughout an entire day and does not smudge on my waterline or in my eyelid. 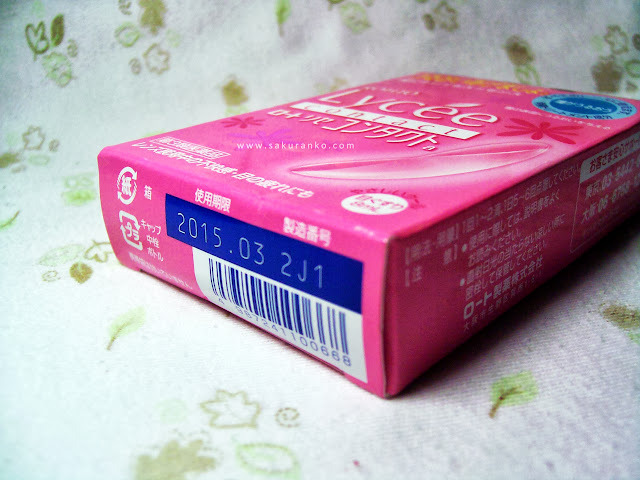 (*･ε･*)ぶ Something I like also is it is not is excessive, or stupidly expensive. The precision tip is excellent as it is a small brush and have the opportunity to make a perfect delineated.I recommend this product 100% because it's great. I hope you liked this review, I really loved this product. Thanks to all those who visit and follow me. I love you all have a happy day! As some know my skin is oily and sensitive. 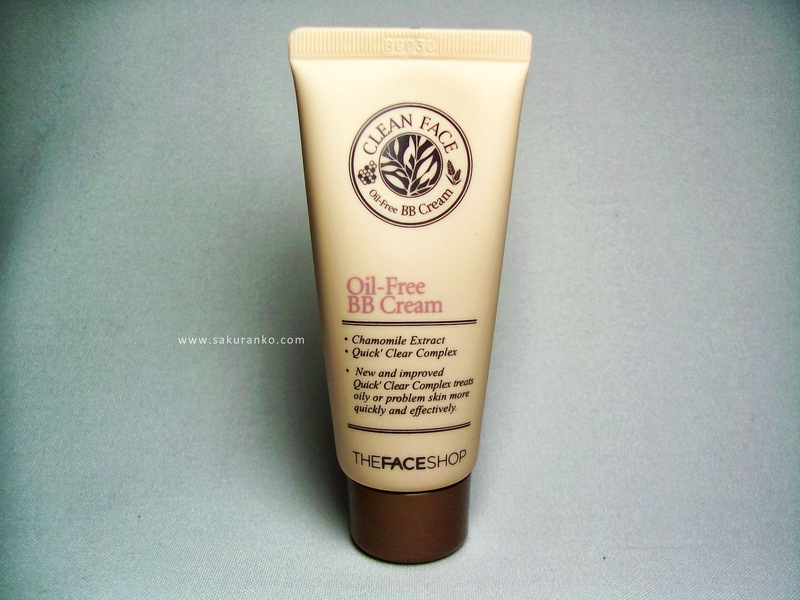 Well for some time I had wanted to try this BB Cream because it is especially Oil Free. 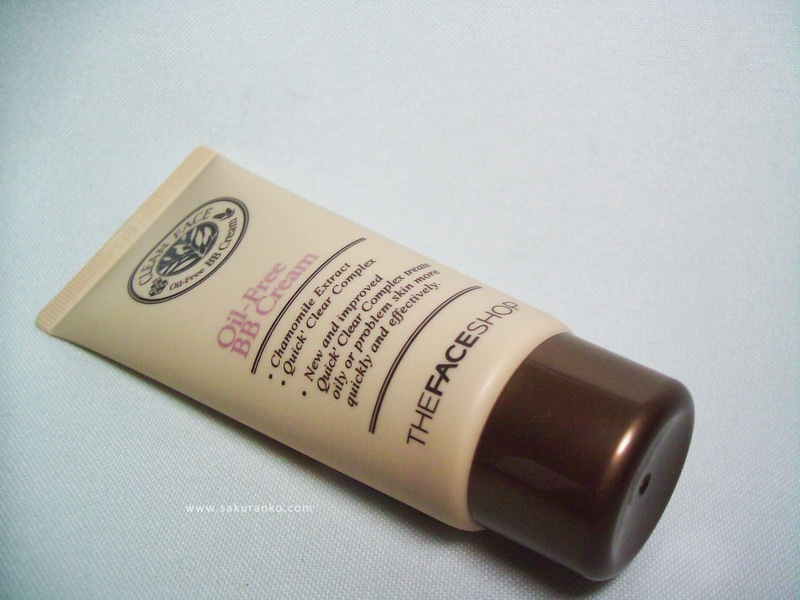 (｡•ﻌ•｡) Thanks to my Kokoro gave me this BB Cream last year and did not use it until last April. I quite liked product. 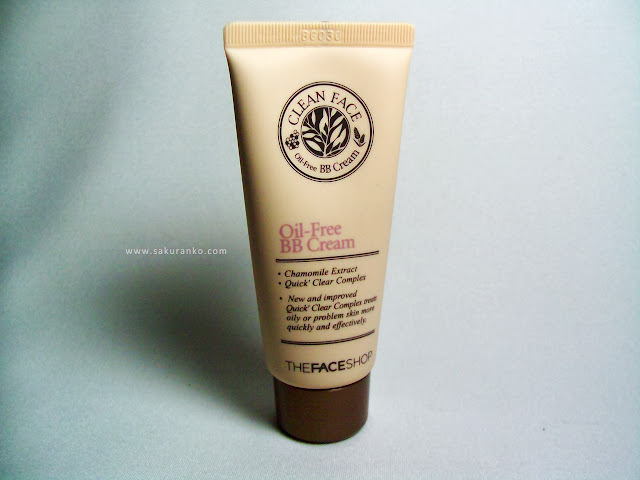 I commented that it is the first product I test the brand The Face Shop but certainly not the last. A BB cream for bright and light make-up. Covers up skin troubles and freckles. Tested for sensitive skin. 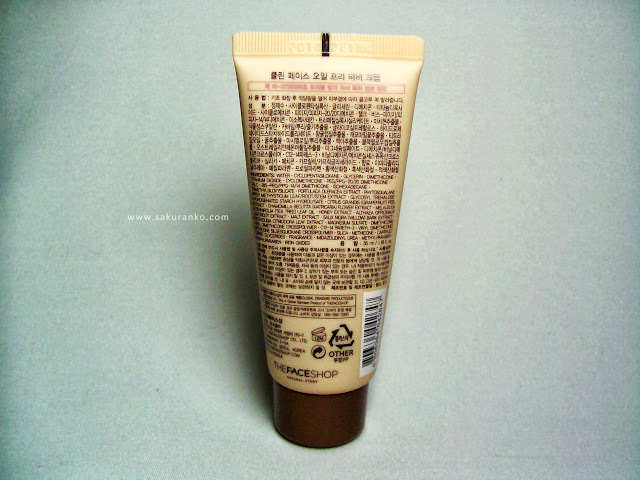 ✾ Packaging: The packaging is nothing special is basically a beige tube really is quite practical to carry from one place to another. 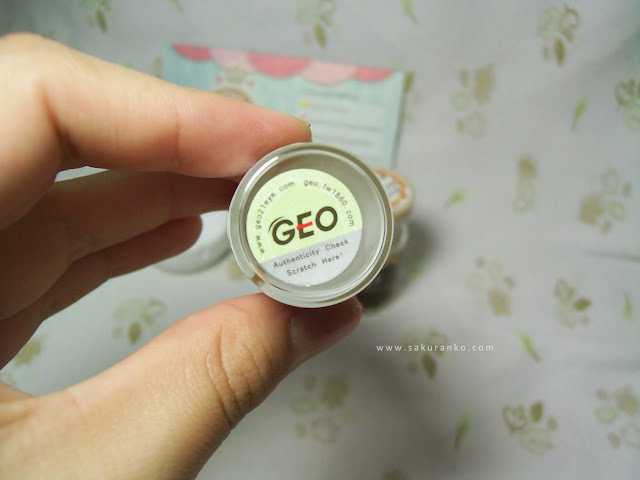 ✾ Price & Quantity: The price was $ 8 with Free Shipping and think it's a pretty good price considering that this product contains 35 ml is enough product and a small amount works fine on all our face. There are smaller products not work as well and are much more expensive. ✾ Fragance, Texture & Color: The fragance smells delicious as it is very fresh and delicate as plant extracts but very fresh, identical to the toner smells like Chia Seed has natural extracts and does not smell at all artificial or opposite chemical smells very natural. 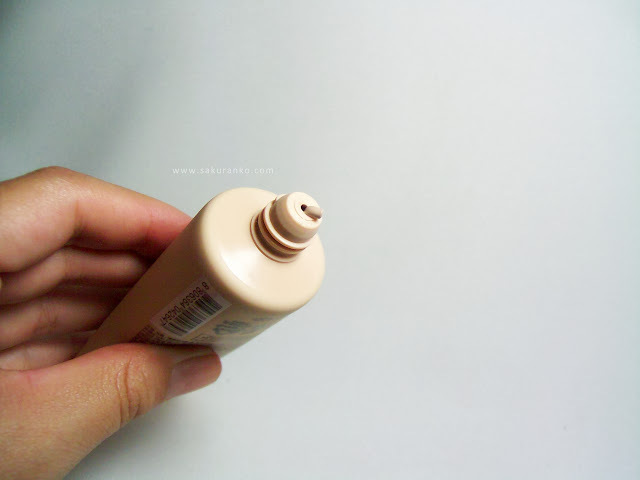 The texture like any good BB Cream is quite creamy but light. 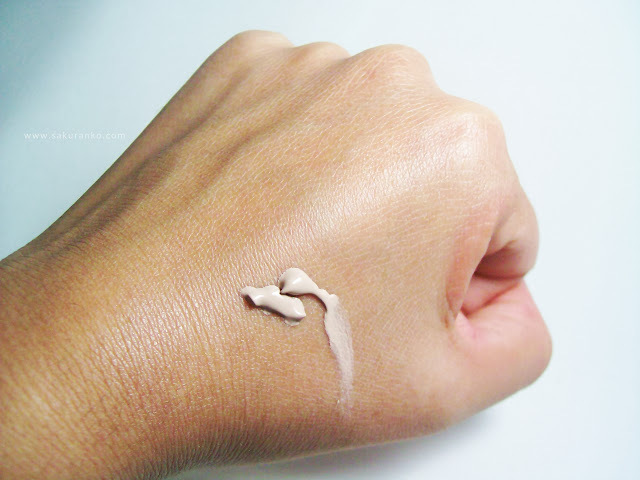 The texture is a light cream that blends well with the skin. (●´ϖ`●) The color thankfully not an ugly gray but it is like a light beige. ｡ﾟ(ﾟ´ω`ﾟ)ﾟ As you can see the coverage is fairly light and blends very well. - This product is inexpensive. 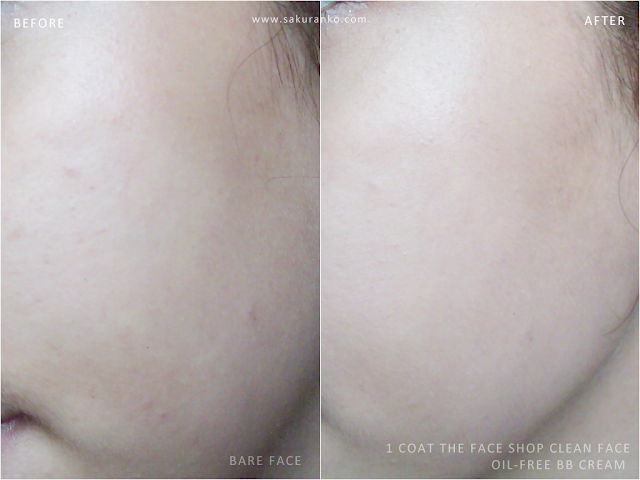 - It´s designed for sensible skins and oily. - It has a light coverage (but can also be a Cons). - Has a light coverage. 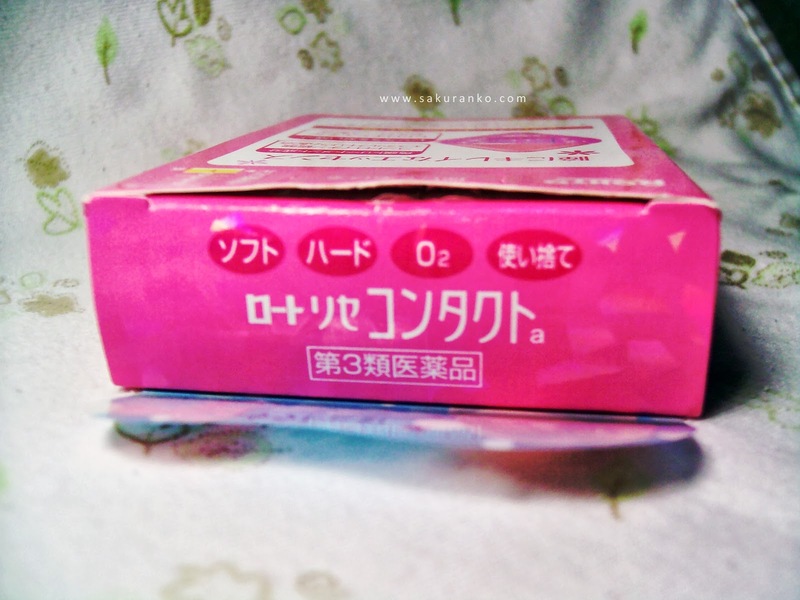 ヽ(´ー｀)ノ This product is definitely one of my favorites. 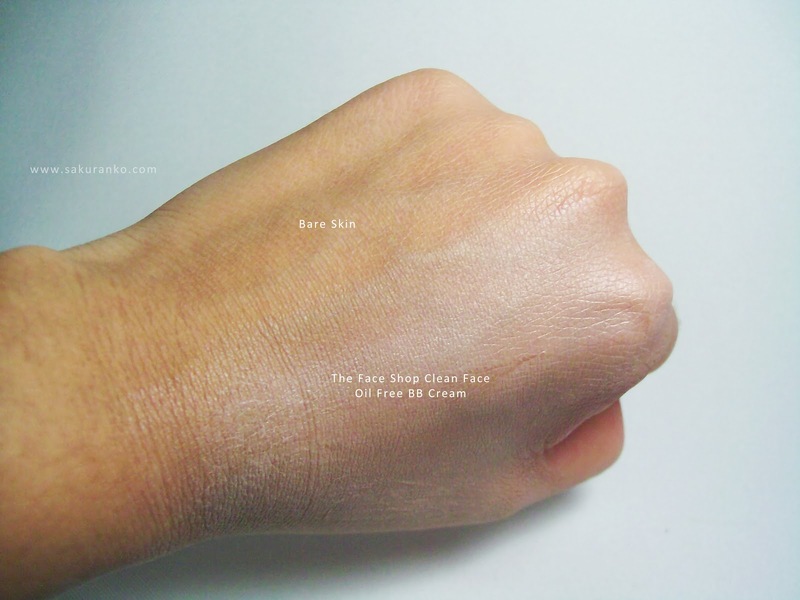 If you are looking for heavy coverage because you have a lot to cover this BB Cream is not for you and certainly not going to be happy with this product, because its coverage is quite light. 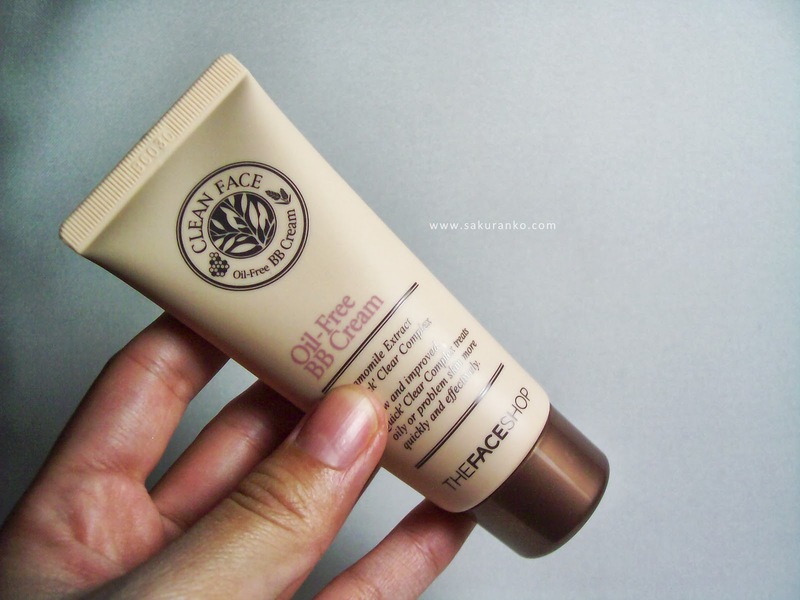 (´・⌒・`) But I think what I love about this BB Cream is light coverage exactly perfect for me (and I don´t like heavy coverage) and is perfect for daily use because it controls very well the face oily. ╰(*´︶`*)╯♡ I love this BB Cream and definitely want to buy again because it's perfect for when you want a natural makeup every day. 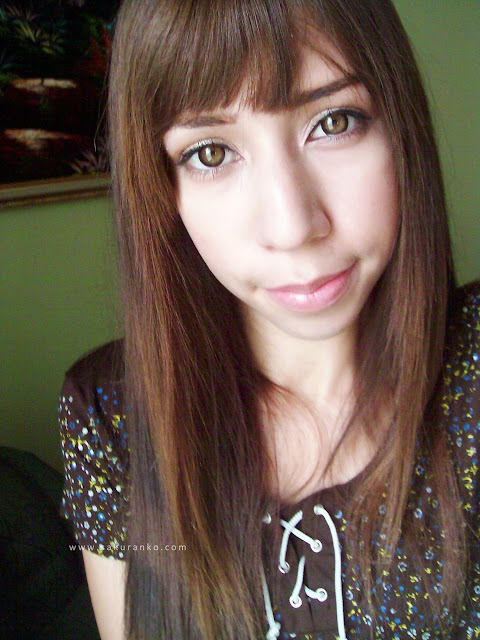 The only thing I don´t like, is that even lasts all day there are areas that seem to not put BB Cream after seven hours. But for everything else I loved and it is a great product. 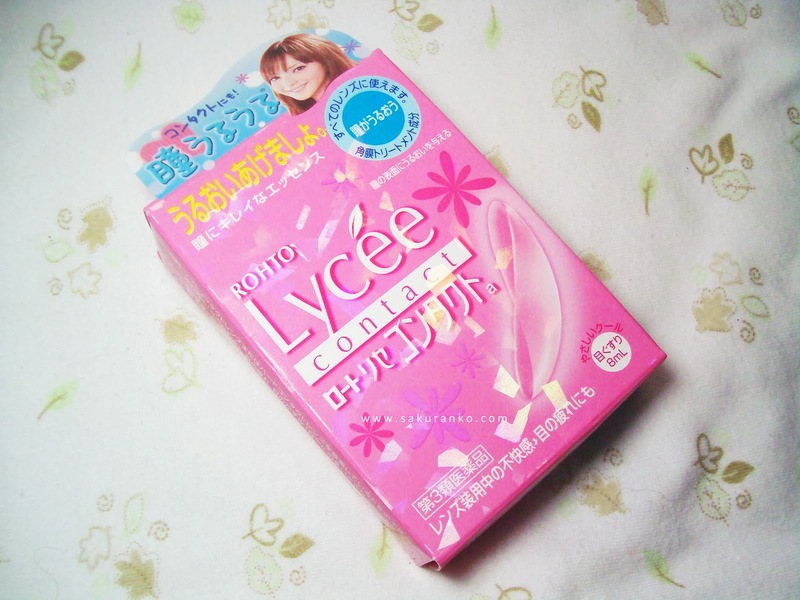 Made in Japan This product was developed in response to request for Lycée that may be used also while wearing contact lenses. Supplements tears to dry eyes to protect cornea and moisten eyes. - Indications: For tired and dry eyes. - Directions: Instill 1 to 2 drops 5 to 6 times per day. Discontinue using if itching, redness, or sensitivity occurs. The product should be handled with clean hands. Avoid direct sunlight, high temperature, and high humidity, and keep out of the reach of children. 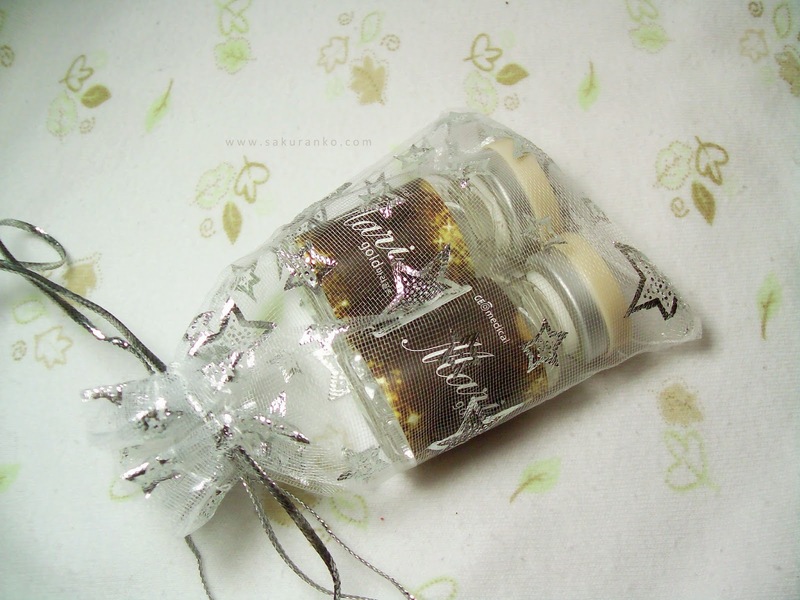 The mini bottle in package! ✽ Packaging: The packaging is a cutie, really first have a box all pink (note that pink is my favorite color) and then in the box brings the instructions and due date well in big my sincere appreciation. I love it brings everything in Japanese and also helps me learn. 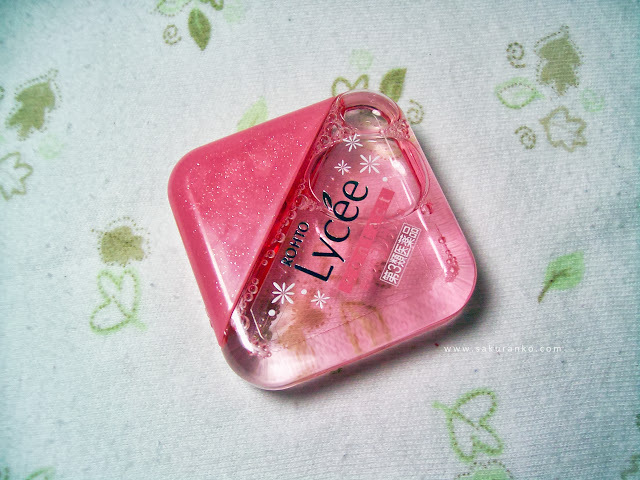 Then I have a small bottle completely pink diamond-shaped which I love. 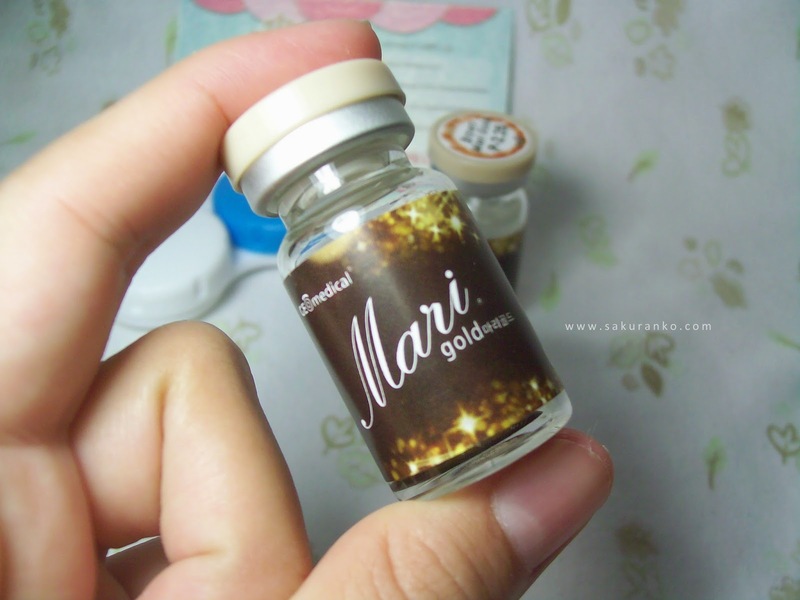 ✽ Price & Quantity: Bring only 8 ML is really quite small, but it is the first time I think this is a Pro, as it is perfect for carrying in small wallet. My oftagmologo medicated drops for me are pretty big and not at all elegant and I think I love this for that. The price is $ 16 but I think it's okay for a product that is responsible for addition eye care is a Japanese product. - Gives a mentholated sensation in the eyes immediately. - Helps red eye in two minutes. 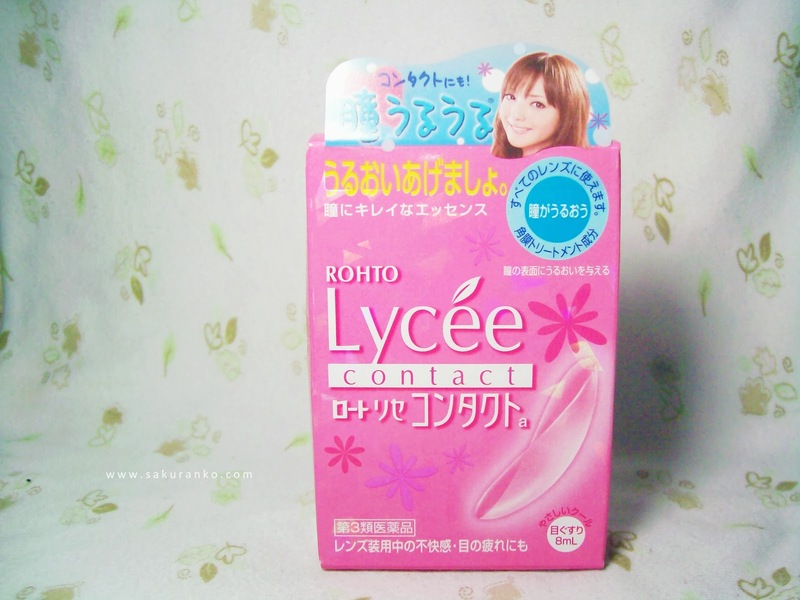 - Lubricate the eyes without feeling uncomfortable. - Helps improve blurred vision caused by the use of contact lenses. - Has a beautiful packing and easy to travel. 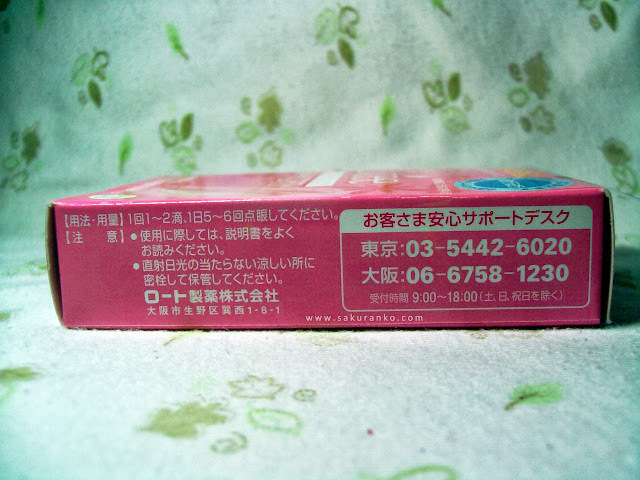 This product meets the eye a very small and pink and yes it is but also is an effective product in eye care. 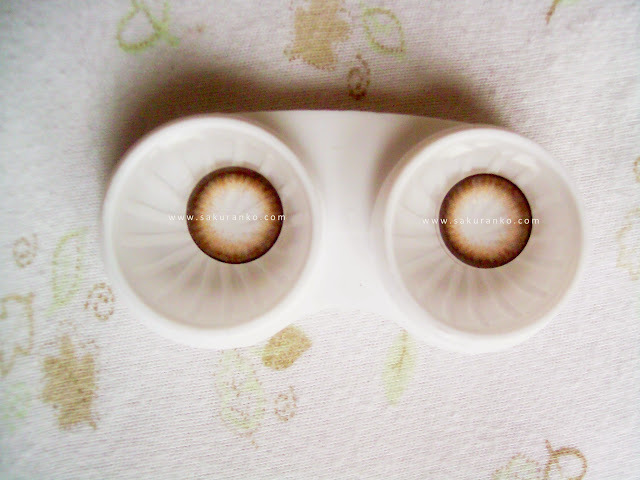 (๑•́́ ﻌ •̀๑)♥ I apply one drop in each eye when I'm wearing circle lens and alleviating is immediate. I feel a sense mentholated in my eyes that I can confess that is delicious (〃艸〃)~♥ They are much better than previously used drops and definitely want to try and get every drop of this excellent and incredible Japanese brand. The 100% I recommend that anyone who wear contact lenses should have this product. This product is excellent and really cute! 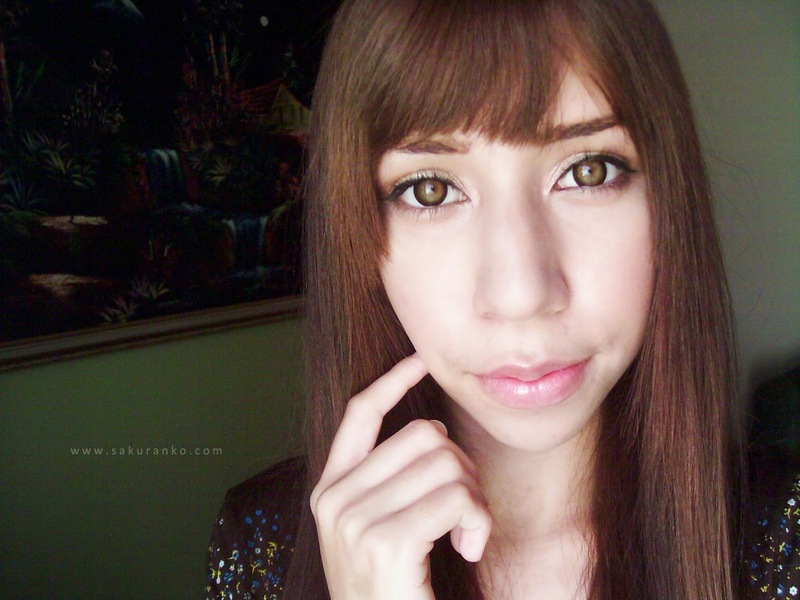 GEO Mari Gold Brown Lens "Review"
On Friday, received by Eyecandys for review purposes, this pair of circle lens very nice really was excited to use as it is a series that looks very natural but also very lovely. Remember that my opinion is based on my own experience with these circlelens and is 100% honest. ✹ Design/Pattern + Color: The design is like a little brown gradient that simulates a natural iris very nice and has a pretty solid brown edge but at the same time quite natural. The color is soft but at the same time brings out pretty eyes. 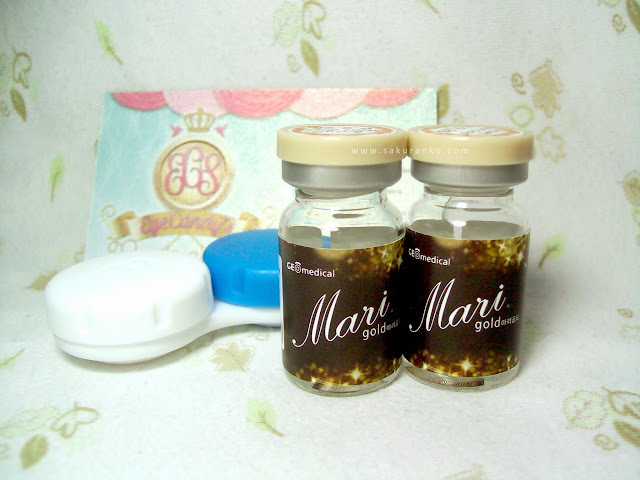 The design has small gold sparkles which makes these lenses give a natural look but magic to our eyes. 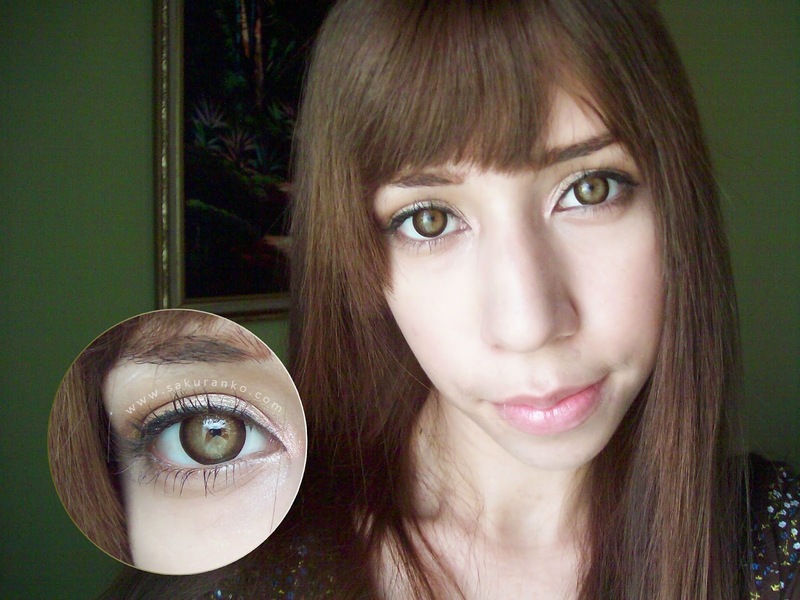 ✹ Comfort: These lenses are incredibly comfortable, wore them for 6 hours without any discomfort. 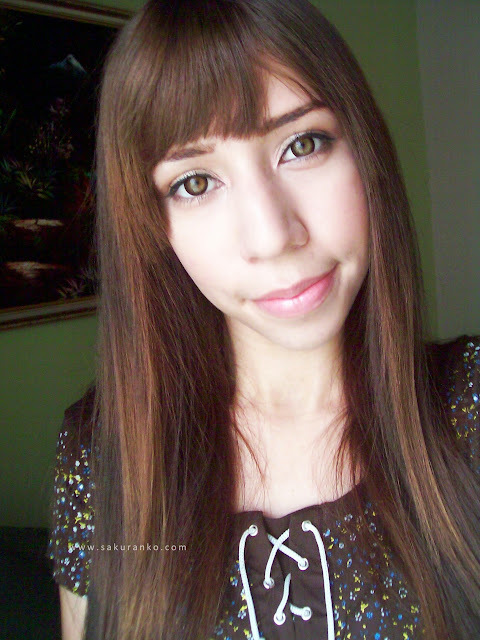 I liked that I didn´t feel that I was wearing circle lens. They have a small diameter but I love it. ✹ Enlargement: The enlargement is quite natural. However, if enlarged eyes. Give a slight effect dolly. 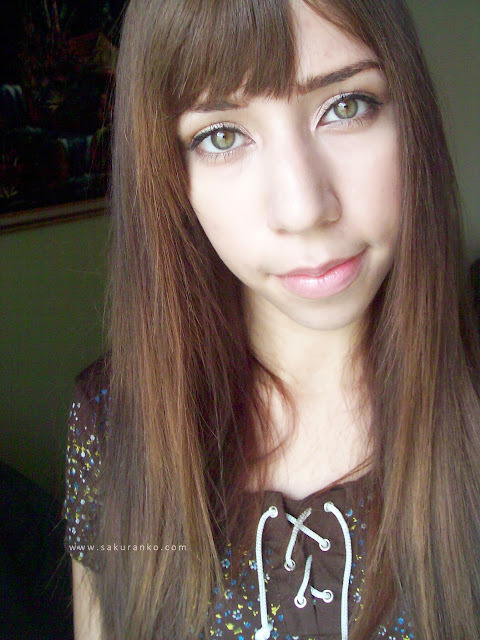 Not too much to look like an anime character, but if longer oequeño eyes to the diameter. I like it because it is a natural enlargement should not use an exaggerated makeup to look good these circle lens. ✹ Overrall: Use brown lenses in my eyes is a challenge because I've realized that it is quite difficult to look natural and give the effect of natural doll so pretty. 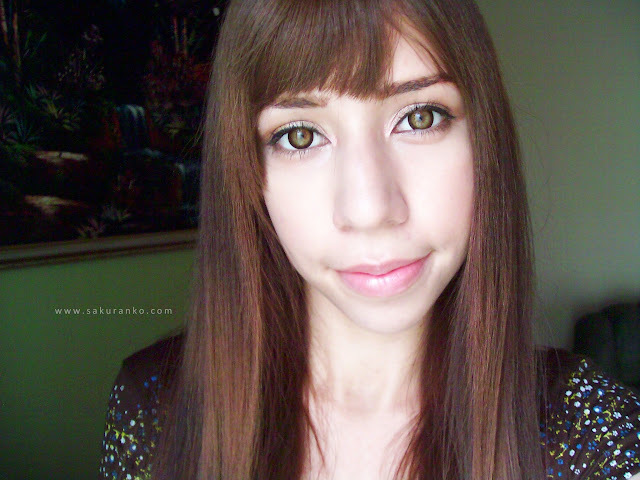 These are the first brown circle lens I use that natural look I love not only comfort, but also the design that really brings out my eyes. Thanks to Eyecandys for sent me this circle lens are really cute. This store has a really nice customer service. Thanks for visit my blog I hope this review can be helpful for you! 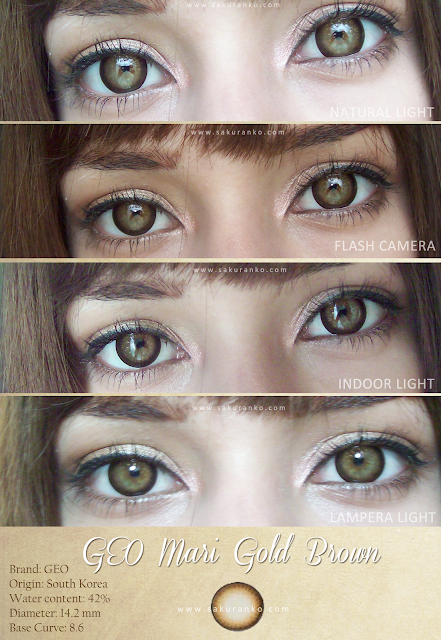 LoveShoppingholics Circle Lens Giveaway! "WINNER"